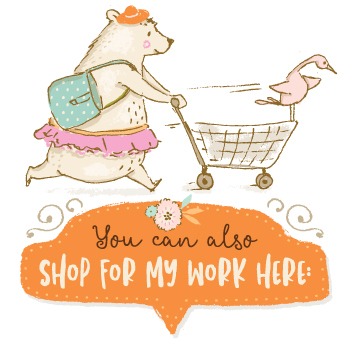 How to create lovely illustrated designs in minutes, no drawing skills needed! 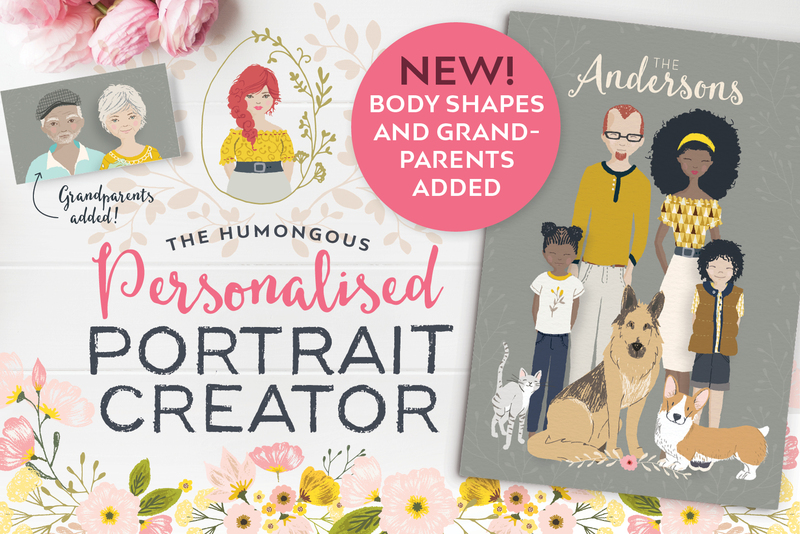 Another great Portrait Creator update you’ll love! 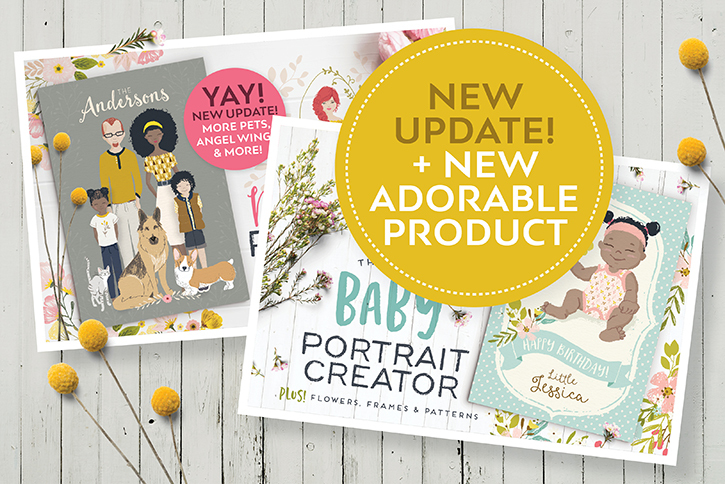 I’m so thrilled to finally complete the latest update to The Personalised Portrait Creator! Over the past 6 months, my list of possible additions to the kit has been growing and growing. All based on your recommendations and requests. 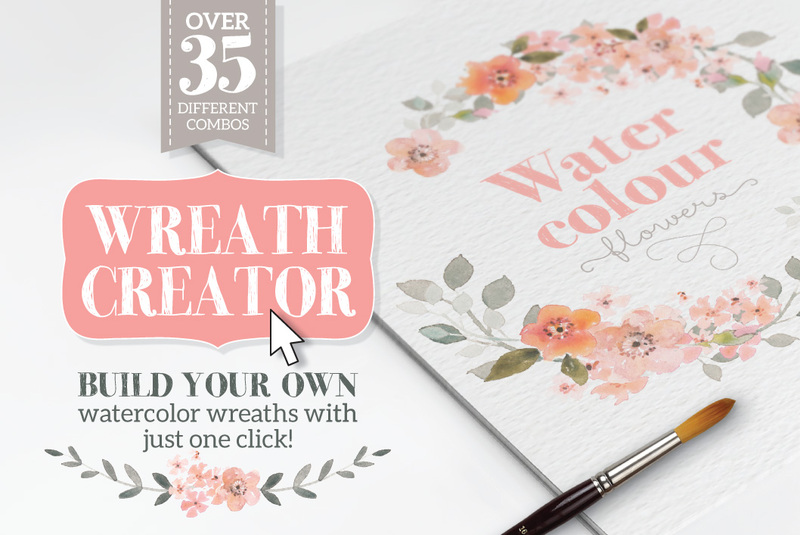 I’m really proud to present my latest graphic resource, The Watercolour Wreath Creator! 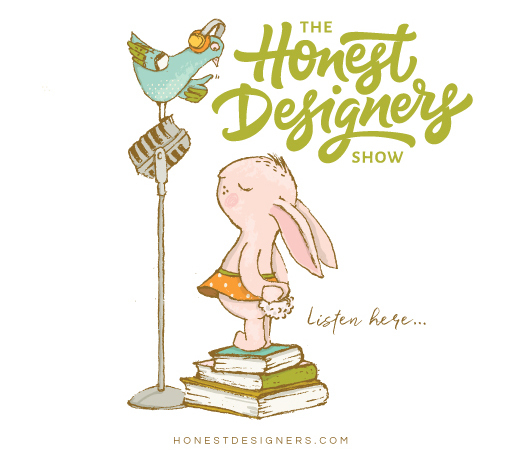 It’s a product of many hours of painting, designing and trial and error. The result? 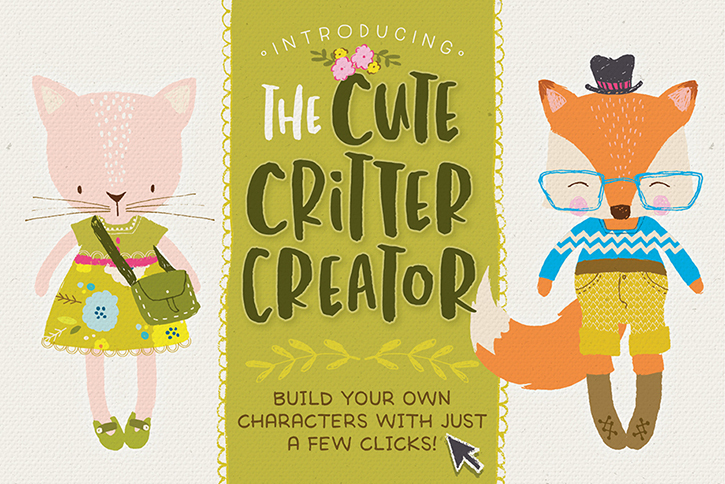 A DIY graphic set with a difference! 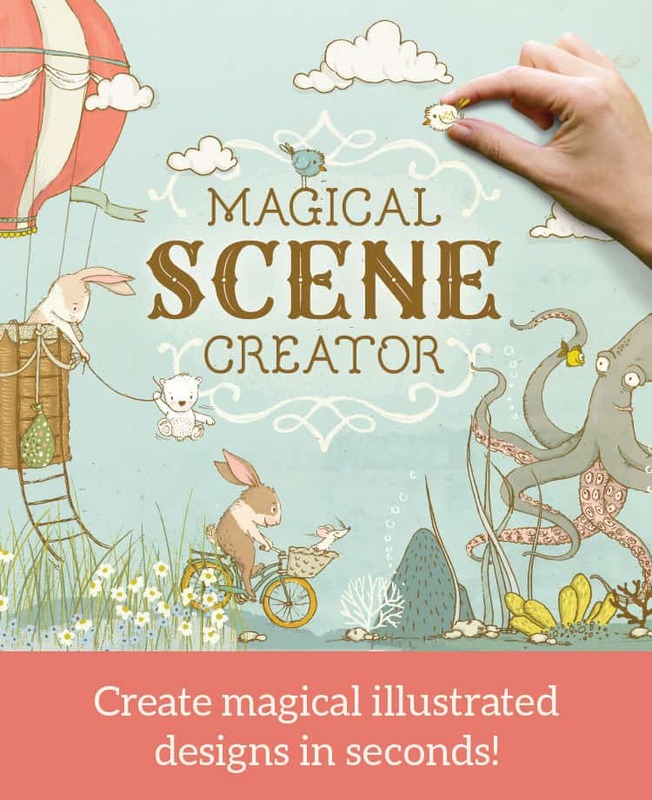 Pillowbook: my new font has arrived! 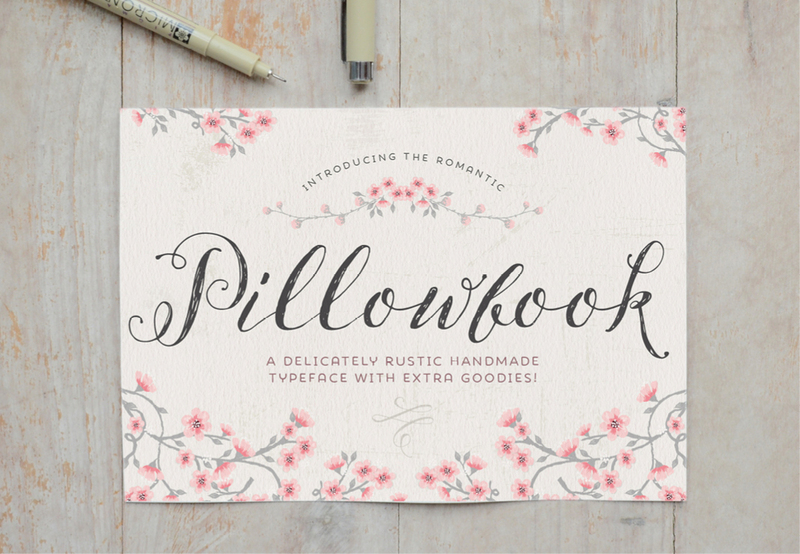 I’m very excited to present my new font called Pillowbook! It’s been a long-standing ambition to create my own typeface and after much research, many, many hours of work… testing and more testing, my font is ready to hit the world of typography!